Fear the Nutria! 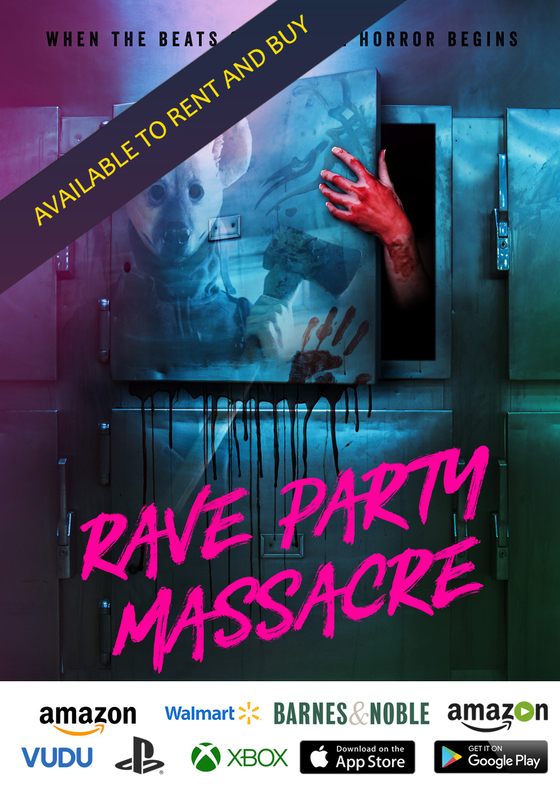 Now available on streaming platforms, this insightful and informative documentary brings attention to growing rodent threat. 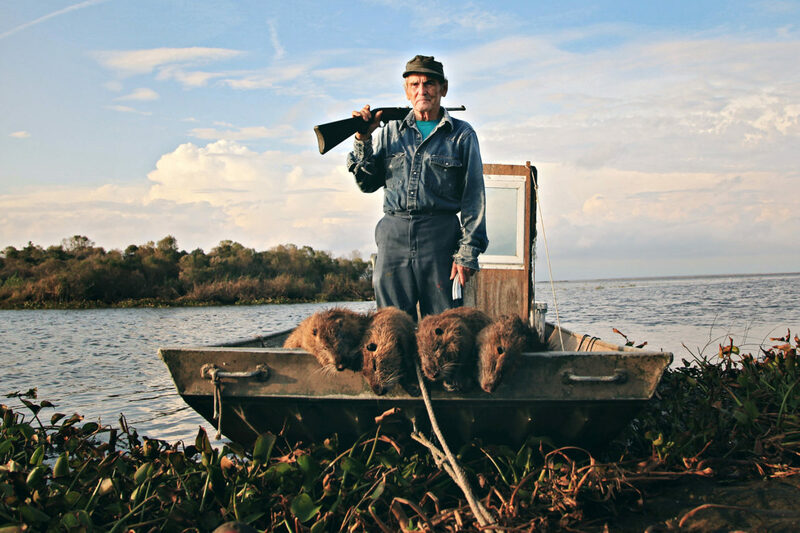 Killing a particular swamp rat provides much needed income for Louisiana hunters. That animal, called the Nutria, is a furry, oversized rodent with fearsome yellow or orange buck teeth that took over swamplands in the state, necessitating a bounty of $5.00 a tail. And when they’re not trapping crabs, longtime residents Thomas Gonzalez and his son continue the hunt. Reclaiming the swampland from an ever-increasing Nutria population is a full-time job. Thomas Gonzales defends his Delacroix Island from invading Nutria. Exposing an environmental problem that I had no idea existed is the main thrust of “Rodents of Unusual Size.” But the documentary is also a telling portrait of a shrinking human culture built around living off the land. It’s that land that is threatened by the rodents, who eat all the vegetation, and burrow into the riverbanks hastening erosion. Louisiana is literally falling into the ocean, and when the wetlands are damaged by creatures not native to the area, the loss is exacerbated. 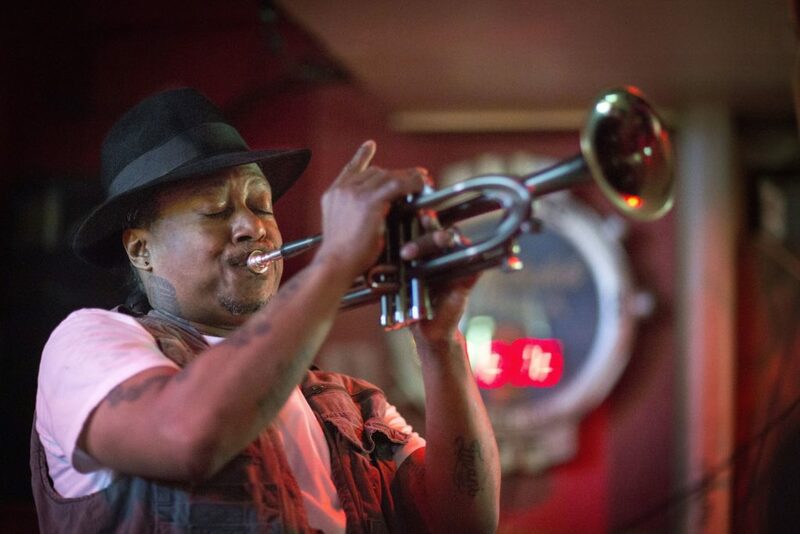 Musician Kermit Ruffins blows his horn while extolling the virtues of eating Nutria. In addition to Gonzales, we meet musician Kermit Ruffins, who is a chef when he’s not blowing a horn. Ruffins, whose very name screams New Orleans and Louisiana, attempts to introduce the patrons of his restaurant and club to the joys of eating the little beasts. If you’re going to kill this relatively large vermin, why waste the meat? We learn that the state even tried to market the Nutria as another protein alternative, with a campaign that never caught on. 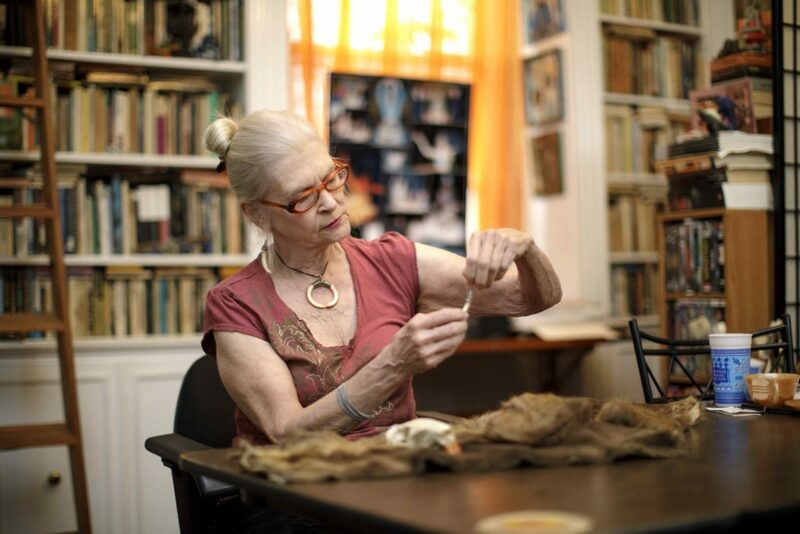 Fashion designer Cree McCree finds a use for Nutria pelts. Through narration by actor Wendell Pierce (“The Wire,” “Tom Clancy’s Jack Ryan”), we learn a little about the history of the annoying critters. Originally, they were brought up from South America by furriers, back in the heyday of fur. But when that fashion fell out of fashion and was attacked by animal rights groups, the Nutria were left to their own devices. And over the years, the rodent population took over, with millions of them now dominating swamplands. These buggers eat all the vegetation and leave the land worthless, especially when hurricanes threaten. 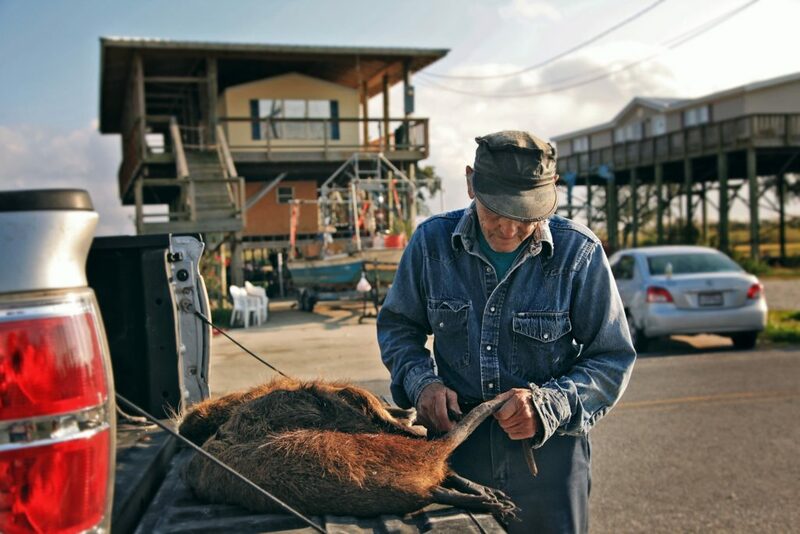 The film, credited to a trio of filmmakers (Quinn Costello, Chris Metzler, and Jeff Springer), grapples with one interesting contradiction: the nagging question regarding whether it is environmentally responsible to wear Nutria fur? This argument is well made by local fashion designer Cree McCree, who works with a team to recycle the Nutria pelts left behind by hunters. While trying to create hip and pleasing designs, they are also attempting to lift a stigma and reintroduce fur that arguably isn’t what animal right’s groups once demonized. After all, why should only the tail have value? 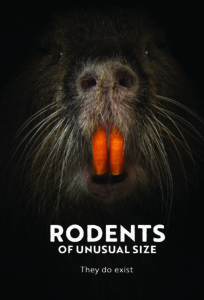 But as “Rodents of Unusual Size” draws to a close, it is Gonzales that offers some striking insight. Having lived in Louisiana his whole life, having survived many environmental disasters, his trailer on stilts high above the saturated ground, the older Gonzales continues to fight on. Instead of leaving the place to the rodent infestation, Gonzales stands his ground, even as it shrinks away below his feet.